HF: There have been a number of paint companies manufacturing their products in Hong Kong. A very useful introduction to this industry can be found on the Hong Kong Memory website linked below. Most of the one line founding dates etc come from HKM. Here are brief introductions to the companies I have come across. If you can provide any information about any of these companies – especially Train brand do get in touch. Between the end of WW2 and the 1950s other paint companies were established, including Chi Lee Paint Factory which was Chinese owned. During the 1950s, the government planned to develop Kwun Tong as a new town. Reclaimed land was designated as industrial use. Six paint manufacturers were relocated to Kwun Tong, including…Chi Lee Paint. Each built its own factory on purchased land. 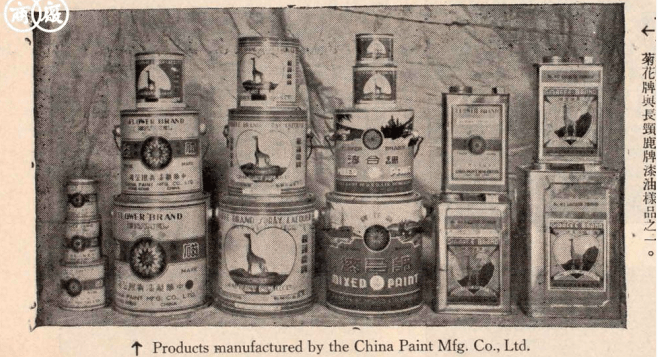 China Paint Manufacturing Company (1932) Ltd. 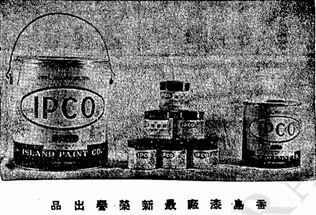 The China Paint Manufacturing Company (1932) Limited was registered and founded by Mr. Lam Kun in 1932 to produce and sell paints. During the 1950s, the government planned to develop Kwun Tong as a new town. Reclaimed land was designated as industrial use. 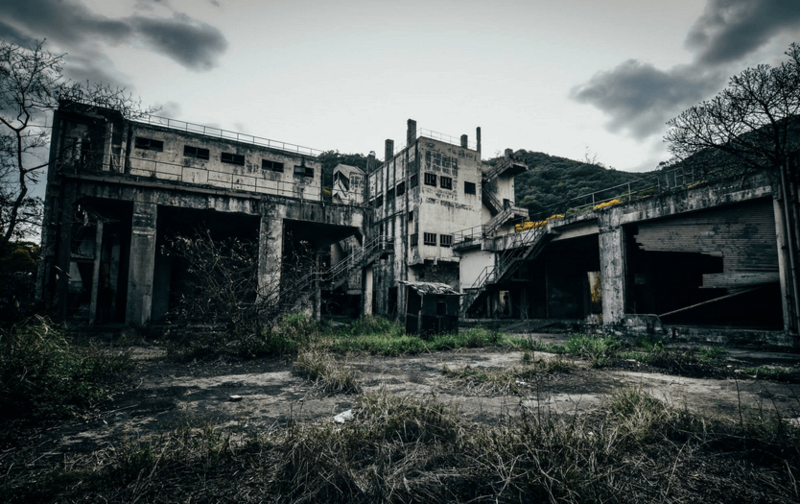 Six paint manufacturers were relocated to Kwun Tong, including China Paint… Each built its own factory on purchased land. Thomas Ngan: The China Paint Manufacturing Company is currently located in Sai Kung (https://goo.gl/maps/yFBLZ). Duro Paint was established in 1937. 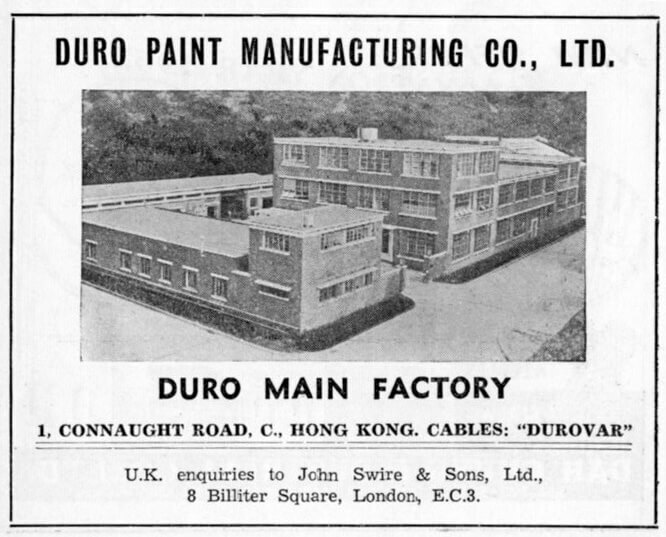 Post WW2 Duro Paint and Oriental Paint from Shanghai were merged and the new Duro Paint company was managed by the Swire Group. YL: Liang Meng-tsi (梁孟齊, 1902-1972) was an important figure in the history of the paint industry in Hong Kong. 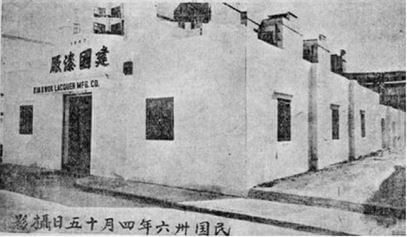 A US-trained chemist, Liang was a leading expert in paint technology in China and was involved in the founding of…Gilla Paint Works (致利製漆廠), the HK Memory website inaccurately lists the English name of the firm as “Chi Lee Paint Factory”) in 1953 after Duro was acquired by Swire. Between the end of WW2 and the 1950s other paint companies were established, including Hong Kong Paint Products Ltd which was Chinese owned. During the 1950s, the government planned to develop Kwun Tong as a new town. Reclaimed land was designated as industrial use. Six paint manufacturers were relocated to Kwun Tong, including…Hong Kong Paint Products. Each built its own factory on purchased land. Island Paint apparently bought land in Causeway Bay in early 1950s and built its plant there. 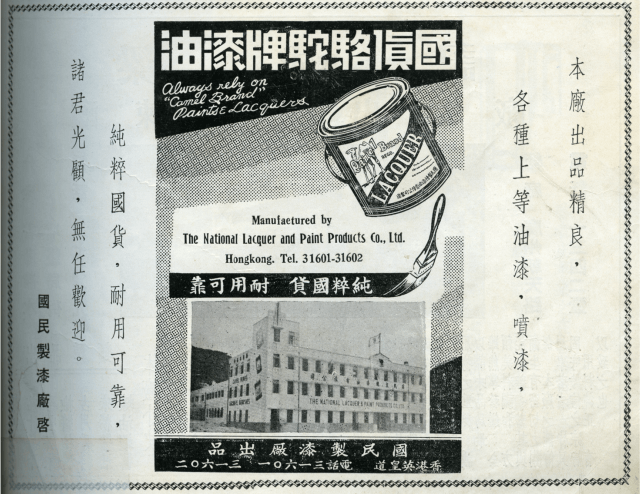 In 1946, Kin Kwok Lacquer Manufacturing Company Limited became the fifth paint manufacturer. During the 1950s, the government planned to develop Kwun Tong as a new town. Reclaimed land was designated as industrial use. 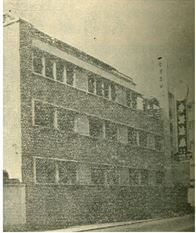 Six paint manufacturers were relocated to Kwun Tong, including…Kin Kwok Lacquer…Each built its own factory on purchased land. Between the end of WW2 and the 1950s other paint companies were established, including the wonderfully named Majestic Paint Manufacturing Company which was Chinese owned. During the 1950s, the government planned to develop Kwun Tong as a new town. Reclaimed land was designated as industrial use. Six paint manufacturers were relocated to Kwun Tong, including…Nam Va Lacquer & Paint Products Company Limited. Each built its own factory on purchased land. Can anyone provide information about the company that made Train brand paints? Was this actually a Paint Factory? And if so what was the company? Billy Clarke wrote in May 2015 asking if we had any further information about the building shown below. The answer was no. He added in October 2015, that he had found nothing more about it but that he would be making a video of the structures in the near future. Between the end of WW2 and the 1950s other paint companies were established, including Wan Guo Paint Factory which was Chinese owned. The China Paint Manufacturing Company is currently located in Sai Kung (https://goo.gl/maps/yFBLZ). There are a block of builds in Hoi Yuen Road called Camel Paint Building Block 1 through 3, and another one called Camel Paint Centre. (https://goo.gl/maps/aZVrR). I guess this block would have something to do with another company. Many thanks Thomas for this information. I have inserted your comment about the current location of China Paint into the article. If you find anything else out about the Camel Paint Building Blocks do let us know. This might be off topic. But anyway,tThe site where National Lacquer and Paints Products Company Ltd used to be bad just been demolished. There used to be a small alley called Nation Street (https://goo.gl/maps/15zt6), sort of what’s left of the National Lacquer and Paints Products Company. After the site is redevelopment, this street might be gone..